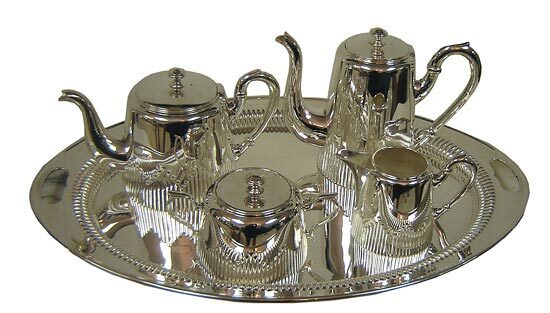 This Austrian art deco silverplate tea service consists of a tea pot, coffee pot, sugar, creamer and tray. It has replated and is ready to grace your table. The tray measures 21” by 14” and the tallest pot is 7” high.